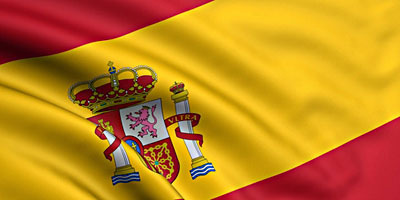 Spain either out of the euro or into the arms of the European Stability Mechanism. ….The periodic episodes of market panic about Spain have always tended to follow an austerity announcement. One such episode came with the discussion that led to the recently introduced draft budget, which included a deficit correction of 3.2 per cent of gross domestic product for 2012. When Mariano Rajoy, Spain’s prime minister, began to outline the deficit cuts for 2013 last week, the markets panicked again and drove Spanish 10-year yields back to 6 per cent. The targeted fiscal adjustment amounts to 5.5 per cent of GDP over a period of two years. It is one of the biggest fiscal adjustments ever attempted by a large industrial country. It is perfectly rational for investors to be scared. Let’s put that into perspective. The GDP of the United States is $15 trillion. So 5.5% of GDP would be $820 billion. This means that Spain’s two-year target would be the equivalent of the United States cutting its annual budget by $410 billion. No one — literally no one, not even Paul Ryan — has suggested budget cuts anywhere remotely near those levels. Even though the U.S. economy is in much better shape than Spain’s, everyone believes that budget cuts of that magnitude would wreck our fragile recovery. And yet, in Spain, which currently has unemployment levels about the same as ours during the Great Depression, that’s the plan. It’s barely short of insane. So I’m not sure what to say about this, aside from writing interminable blog posts about how crazy it is. But if you want an analytic thought, here it is: Our titans of global finance usually talk like fiscal conservatives. They want low inflation, balanced budgets, and a restrained central bank. But during an economic downturn their actions speak differently. When they actually get all the stuff they say they like, they panic. In their guts they may be tea party conservatives, but when it comes time to actually risk their wealth, they make Paul Krugman look like some kind of milksop Austrian.